The King James Version (KJV) is the standard Bible for English-speaking members of the Church of Jesus Christ of Latter-day Saints. It is a beautiful translation created by a talented group of scholars and based on the ground-breaking work of William Tyndale and others who sacrificed much to bring it to print. The language of the KJV infuses our other scriptures—the Book of Mormon, the Doctrine and Covenants, and the Pearl of Great Price, some of which is a translation of that Bible. It can be safely argued that it has had a greater impact on the English-speaking world than any other book ever produced. All that said, it is more than 400 years old, uses language today that is difficult to understand, and is a barrier to Latter-day Saints trying to study the Bible and glean meaning from its word. I believe it’s time to reverently set it to the side and move on to better things. And fortunately, we are blessed to be able to do just that with a number of important trends. To be clear, I’m not calling on the Church to change its position on the KJV being the official Bible—that’s a policy decision way above my pay grade (though one I would support). I am calling on members of the Church to reach out and embrace the notion that the Bible can be better understood by bringing other translations into their study. Part of this comes because I have read the Bible (and the other standard works) in other languages, and I am a bit envious. In many cases, these other translations use updated, current language, and are more clear to speakers of those languages than the KJV is to native English speakers. The Church has even produced Bibles in Spanish and Portuguese that have all the benefits of the official LDS KJV (footnotes, study aids, etc.) but with translations that are more in line with how people speak today. These Bibles are not saddled with archaic pronouns and verb forms and vocabulary that no one uses in spoken English today. Let me summarize some thoughts and opportunities that can greatly improve our understanding of the Bible, available today and coming soon. I have been fortunate to have been a reader for the last several months of a fresh New Testament translation by one of the top Greek scholars in the Church, Thomas A. Wayment. Coming later in 2018, this book is based on the latest understanding of the Greek texts and is masterfully translated. It will also include language, textual, historical, and other helpful notes in the footnotes, paragraph formatting for easier reading, headings for sections of the text to quickly locate important stories and events, and other study aids that will dramatically improve our understanding of the New Testament text, just in time for a shift to the New Testament in our gospel doctrine study next year. 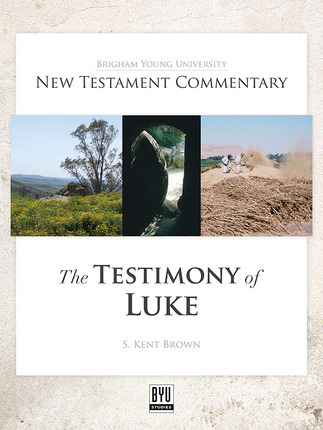 The extensive cross-reference system to the Old Testament, Book of Mormon, Doctrine and Covenants, and the Pearl of Great Price alone makes this a fantastic addition to any LDS library. I would go so far as to say that this should be required reading for any Latter-day Saint seeking to better comprehend the words of Jesus, the writings of Paul, or anything else about the New Testament. Another exciting project is a massive undertaking by BYU Studies, a part of Brigham Young University. They are publishing a New Testament Commentary series that will be many volumes when it is done. So far, three have been published (Luke, 1 Corinthians, and Revelation) and several more are nearing completion or being written now, including Mark, John, and Ephesians. One of the best parts is that each volume includes a “New Rendition,” which is essentially a fresh translation of the text from the Greek, presented side-by-side with the KJV. I’ve been fortunate to have been an early reader for two of the volumes (and just starting to read a third now) and find them immensely valuable. In terms of the translation, each volume’s author is providing his or her own rendition, and while it’s certainly reviewed by others, they have the freedom to word it as they wish. There are also differences of style and interpretation between the volumes. That’s great, because it provides a wonderful alternate view on the texts. Isaiah is an Old Testament text that has long drawn the attention of a number of LDS scholars and writers, several of which have provided alternate translations. The most comprehensive have come from Don Parry, a BYU professor and Dead Sea Scrolls scholar who published a translation of the Great Isaiah Scroll from cave 1, among other texts. In 1998, Don published, with his brother, Jay, and Tina Peterson, a commentary on Isaiah called Understanding Isaiah. This commentary includes a rendition of Isaiah that takes into account Book of Mormon, Joseph Smith Translation, Hebrew (Masoretic text), and Dead Sea Scrolls alternate readings, as well as “clarifications of archaic words.” So while not strictly a new translation of a single Isaiah text, it is nevertheless a valuable rendering of the text that greatly enhances understanding. In 2001, he followed this up with Harmonizing Isaiah, a similar rendition that includes the same four texts combined into a new translation of Isaiah, with additional peer review and explanatory notes. Like his other book, he arranged his text in poetic form to match the parallel poetry of the Isaiah text. Both books are great helps to comprehending this challenging but valuable text. If you’re only using the KJV in your Bible study, you are cheating yourself of a whole world of understanding about these ancient texts. When I study and teach, I consult at least a dozen different translations. While that is probably overkill for most, you’ll be very pleasantly surprised at what insights you can gain just by reading one or two other versions of the Bible. Here are thoughts on some of my favorites. Preferred by many universities and Biblical studies programs, the NRSV is a good balance of literal translation and careful textual interpretation. It started as a revision of the KJV almost a hundred years ago, and has been updated as recently as 1989 by a large team of multi-denominational Protestant scholars, with the result also approved for use by the Catholic Church (the version that includes the Apocrypha). It is easy to read and understand. If I had to pick just one other translation, this would probably be it. One of the goals of the NASB was to make a literal, word-for-word Bible translation that is also easy to read for the modern reader. Also multi-denominational, this Bible is known for its accuracy to the original texts. As a result, some parts can sound a little awkward in English, but it is an excellent translation, especially for someone who does not know any Greek or Hebrew but wants to benefit from a Bible that adheres to the originals as much as possible. The most recent version is from 1996. The NIV is very popular among many evangelical Protestants because of its focus on “dynamic equivalence,” which means it tries to sit midway between a literal translation, like the NASB, and a paraphrase, such as the Living Bible or The Message. Originally started by an engineer from Seattle, Howard Long, the committee of evangelical scholars behind the NIV created what is sometimes called a “thought-for-thought” translation. They attempted to render in the best English possible the concepts and ideas in the original texts, without being bound by the literal wording. It was last updated in 2011 and is a good translation to consult to capture the sense of a text in modern English. Another translation that strives for word-for-word accuracy, the ESV prides itself on using traditional theological terms and staying true to the styles of the various Biblical authors and books in the original languages. It is viewed by many as the successor to William Tyndale, the KJV, and other efforts to closely adhere to the language of the Hebrew, Aramaic, and Greek texts. It strives for beauty and readability and achieves those goals well. When you pick up another translation, consider getting it in a Study Bible version, which includes additional resources beyond the text itself. Study Bibles include more lengthy introductions, helpful notes, cultural explanations, language helps, essays on relevant Biblical topics, maps, and more. One example that I have enjoyed is the NIV Cultural Backgrounds Study Bible from Zondervan. Others includes The New Oxford Annotated Bible based on the NRSV, and The Jewish Study Bible which includes insightful Jewish scholarship on the Hebrew Bible (Old Testament). There are study Bibles for many purposes, such as daily reflection, archaeology of the Bible, life lessons, leadership, language studies, cross-referencing, and for many audiences, including men, women, children, Catholics, Anglicans, Evangelicals, and many, many more. As far as I know, there is not yet a study Bible just for Latter-day Saints, another wonderful opportunity for an enterprising author or group (though Thomas Wayment’s New Testament translation mentioned above, has many elements of a study Bible). Study Bibles don’t replace a good commentary (or ten) but provide a one-volume reference that can greatly strengthen understanding while reading without pulling out and consulting multiple books from your library. Studying and understanding the Bible is hard enough, with thousands of years of cultural, political, and how-we-see-the-world differences, without being unnecessarily burdened in that effort with English that is increasingly incomprehensible to modern readers. While the Spirit can certainly teach us and speak to us using the KJV language, I am convinced that as we better understand the context, meaning, and intent of the original authors, we are more able to have the Spirit better teach us how to apply it today. Such an effort takes more than another translation, as those who come to my classes know, but going beyond the KJV to a different version or two is a great start. I am encouraged by the occasional reference to other translations in General Conference (and hope to see more) and by the common use of alternate translations on our university campuses. I hope to see more people carrying different translations into classes and quorums, especially as we use electronic versions (you can carry dozens of translations in your phone!). I hope that every Latter-day Saint who has a desire to better understand God’s word in the marvelous gift that is the Bible will make the effort to acquire and use one or more alternate translations. It is an effort that will be greatly rewarded each time you study, ponder, and pray. ← Can We Believe the Creation Accounts? I cannot thank you enough for sharing this post. This is something that has given me concern over the past few years. I will be sharing this message!